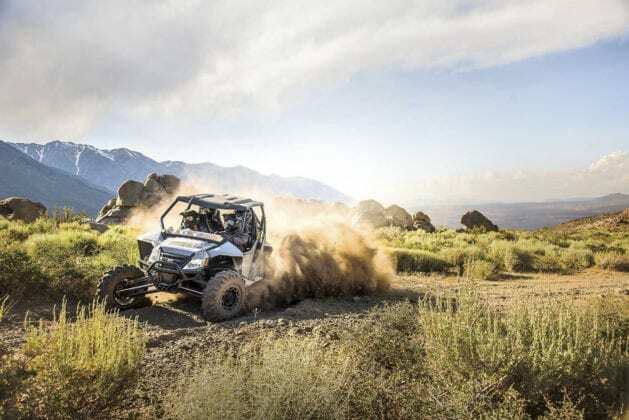 When it comes to pure off-road performance for four occupants, the 2018 Wildcat™ 4X Limited from Textron Off Road hits the high marks in suspension, handling and premium components. 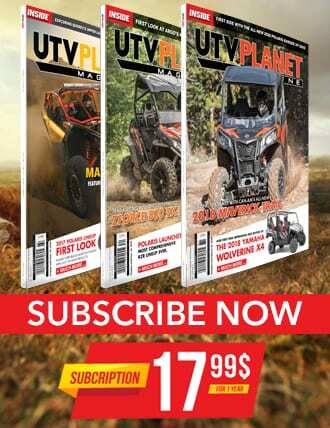 Add to the mix its powerful V-Twin engine and class-leading suspension package, and riders have all the ingredients for the ultimate off-road adventure for four. 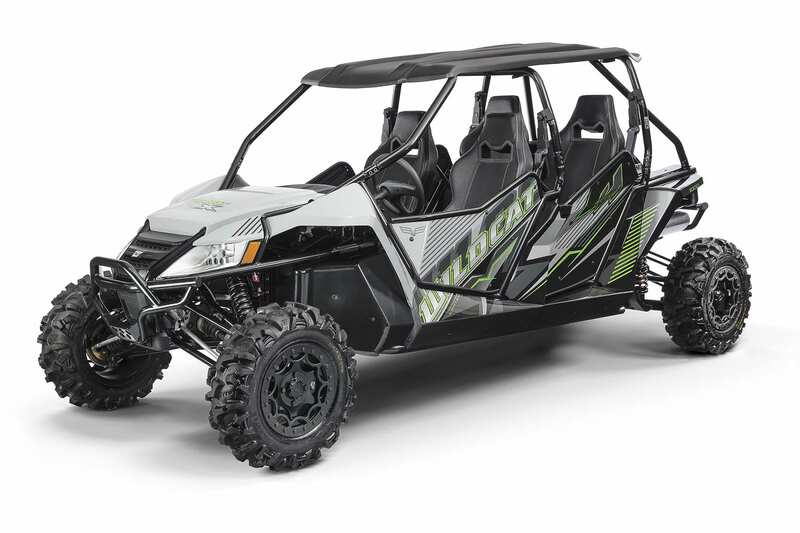 The Wildcat 4X features a stretched exoskeleton chassis that’s 29 inches longer than the standard Wildcat to comfortably accommodate the two rear bucket seats with best-in-class passenger ride-in comfort and legroom. All four high-back seats feature 3-point belts with four tube-frame doors. 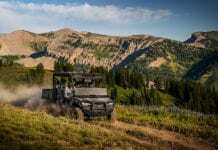 Unlike competitive brand machines, the driver and passengers are located near the Wildcats’ low center of gravity, leaving them less affected by the movements of the vehicle with greater confidence and control. With an industry-leading 17/18 inches of front/ rear suspension travel and 13 inches of ground clearance, the Wildcat 4X is built to handle all kinds of terrain with unmatched comfort and control. 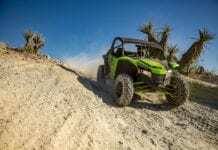 The 5-Link trailing-arm rear suspension design keeps the rear tires planted while the suspension moves through its travel for unmatched traction and control, while the double A-arm front is renowned for its cornering and control. Elka Stage 5 premium gas shocks feature low- and high-speed compression and rebound adjustability, as well as spring preload adjustment and 2.5-in. piggyback reservoirs. 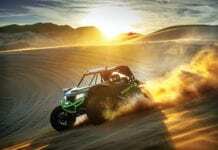 Powering the 4x is a fun and torquey engine distinguished for its reliability. Designed and built by Textron Motors, it’s a liquid-cooled 951cc V-Twin 4-stroke that features Electronic Fuel Injection, a 2-into-1 ceramic-coated exhaust and single 50mm throttle body. Feeding that power and torque to the ground are the TEAM Rapid Response clutches and electronic selectable 2WD/4WD and front differential lock. 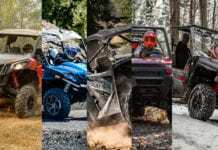 The Wildcat’s Variable Assist Electronic Power Steering (EPS) delivers light steering input effort when negotiating tough obstacles like washouts, rocks and mud, but with enough feedback so the driver senses the tire contact patch in relation to the terrain. Class-leading LED headlights and taillights shine extra-bright, while a 300 lb. payload rear compartment is large enough to carry a cooler and a Gerry can of gas.